In a small bowl or cup, sprinkle yeast over the lukewarm water and let sit for 5 minutes. 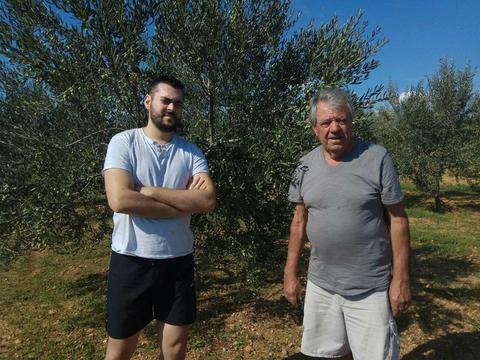 In a larger bowl, pour in the water mixture, salt and olive oil. Beat with a sturdy wooden spoon until the dough is tough and hard to pull apart. 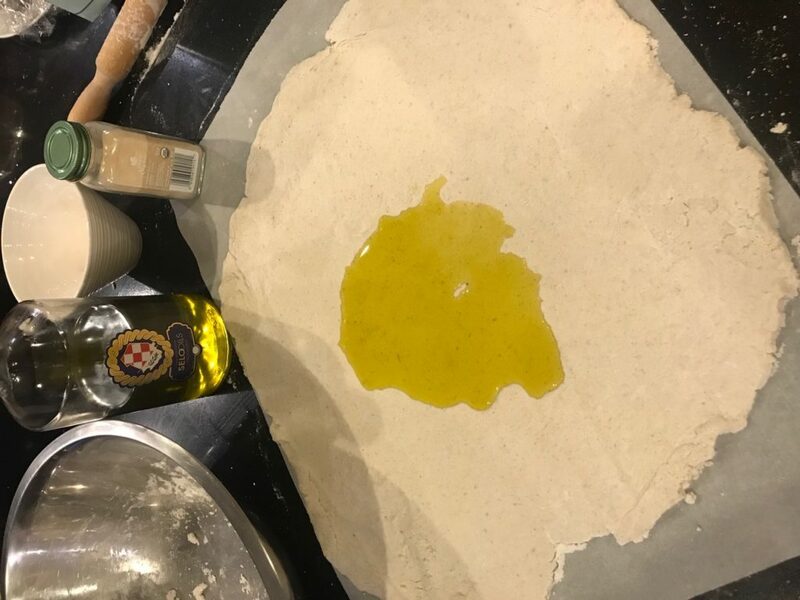 On a floured surface, roll out your dough with a rolling pin until you’ve got the shape you like. The thinner the better. 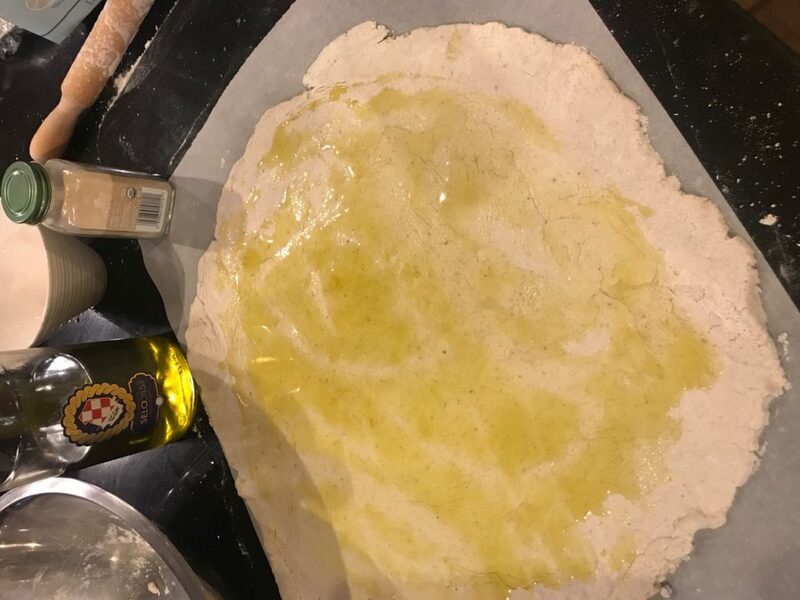 Place flatbread dough on baking sheet and cover evenly with butter. Then sprinkle with garlic power and chopped fresh dill. Use a pizza cutter to divide portions before baking. Bake for 20 minutes in your preheated oven until golden brown. Serve warm. 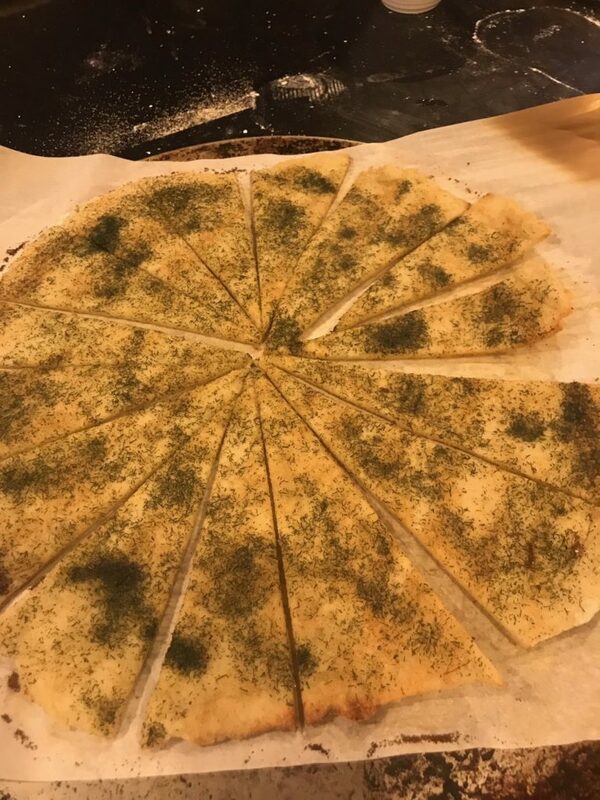 Flatbread is enjoyed all around the world because it’s an easy to make staple that takes few ingredients. It goes with absolutely everything. 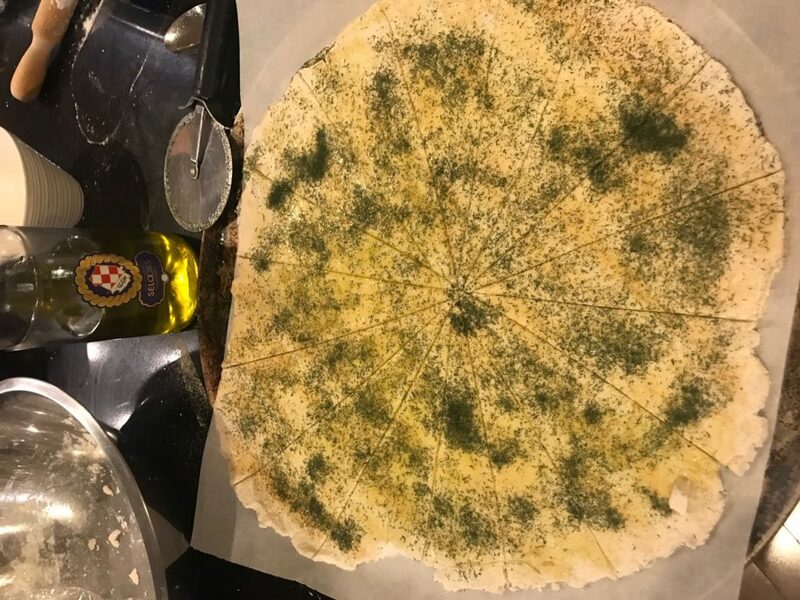 Croatians love their flatbread with dill, and a heaping of olive oil. You know, like the real stuff from my family farm.